Dr. Wilder is a native of Johnston county. Osbone grew up in the Emit community near Zebulon, NC. He finished his undergraduate studies at NC State with a BS in Zoology. He then attended the NC State University College of Veterinary Medicine and graduated in 2004. He practiced small animal medicine in Washington, NC for one year following graduation. 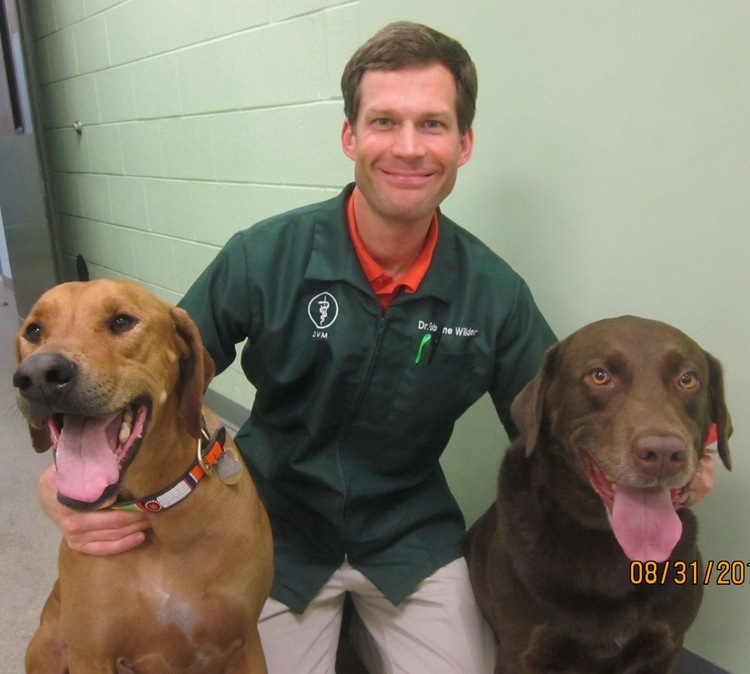 Dr. Wilder moved to Goldsboro and joined the Berkeley Veterinary Clinic family in June 2005. Dr. Wilder and his wife Jennifer have three children (two boys and a girl). Their pet family includes Zeke (Chocolate Lab) and Jemma (Rhodesian Ridgeback).